A Lockheed MC-130 from the US Air Force Special Operations Command dropped the largest conventional bomb available in the US arsenal on ISIS-held position in Afghanistan. The aircraft dropped a GBU-43B Massive Ordnance Air Burst (MOAB), commonly nicknamed ‘Mother of all Bombs’, on a cave complex beneath the Achin district of Nangarhar province, Afghanistan, late Thursday night. Military intelligence suspected that ISIS operatives used the fortified caves for concealment and to move around the province unhindered. The 30-foot long, 22-thousand pound heavy weapon is dropped from a specially adapted MC-130 aircraft fitted out with a deployment sled. Once the aft cargo ramp opens, a parachute deploys and drags the sled out until the weapon becomes airborne. MOAB uses internal gyros for stabilization and preset GPS coordinates to guide it to its target. The weapon detonates in an air burst close to the ground, delivering almost 20 thousand pounds of H6 explosive material. Such massive release of energy causes a highly concentrated barometric shockwave (referred to as ‘overpressure’) that travels across the air and then through solid ground. MOAB is specifically designed to destroy hard, underground targets such as bunkers or reinforced cave systems. 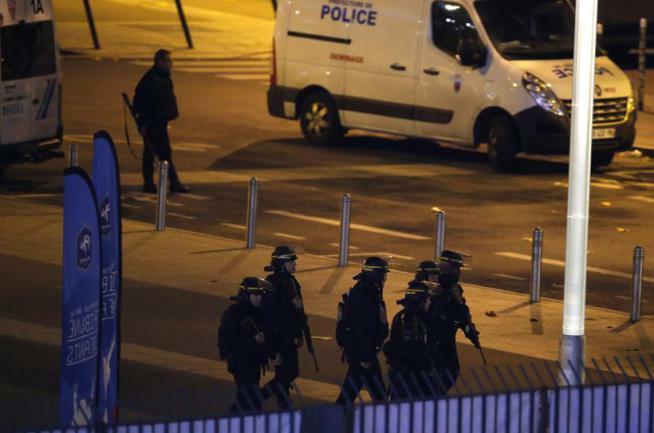 According to US sources, 36 ISIS fighters died in the blast, which could be felt miles away. The gigantic explosion shattered glass and cracked walls in nearby villages. This is the first combat drop of a MOAB weapon. The US still has another 14 units in its arsenal. The attack comes shortly after two US Navy Destroyers -USS Porter (DDG-78) and USS Ross (DDG-71)- launched a barrage of 59 Tomahawk cruise missiles against Sharyat Airfield in Syria. 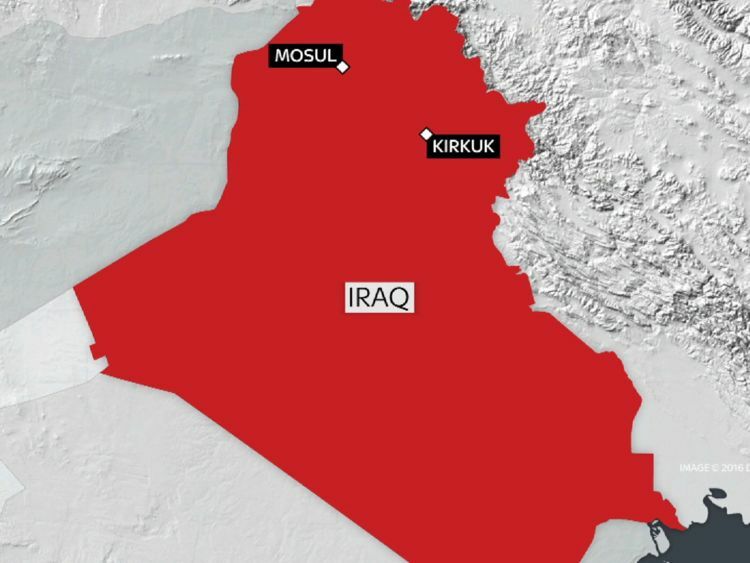 ISIS fighters mounted an attack on Kirkuk, just over 100 miles south-east of Mosul, while a sulphur plant near Mosul was set on fire, creating a toxic cloud. Noxious fumes drifted towards Qayyarah West airfield, forcing US troops stationed there to wear protective masks. Qayyarah West is the main staging area for US air assets supporting the ground offensive to retake Mosul. 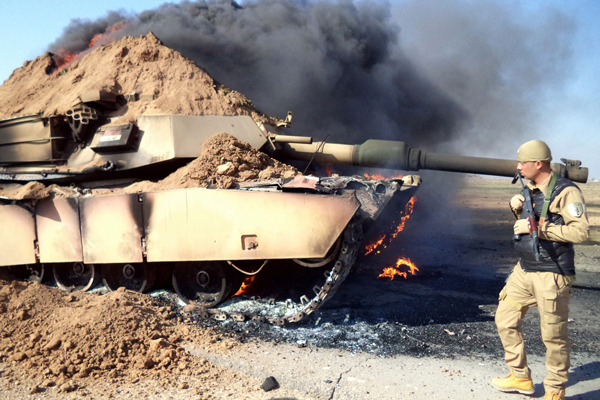 Meanwhile, a large ISIS contingent mounted an attack on the south-eastern city of Kirkuk. ISIS incurred heavy losses, and the assault was ultimately deemed ineffective. 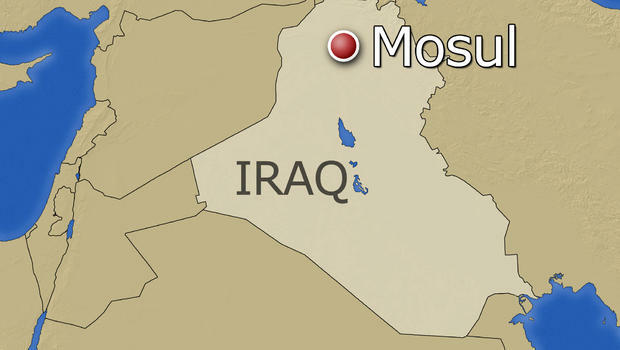 Analysts believe ISIS staged this move to divert attention from Mosul. 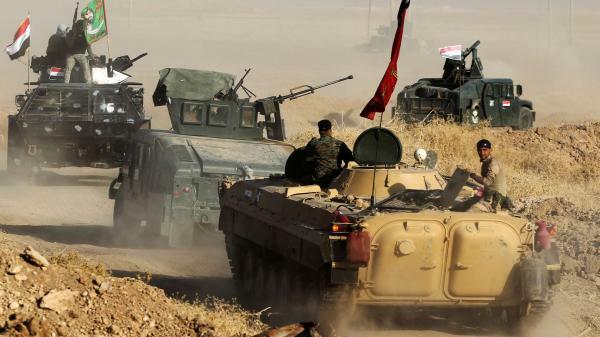 Local sources on the ground also report that people trapped inside Mosul have began launching hit-and-run attacks against ISIS militia, in what is seen as an uprising against their tyrannical grip on the city. US engineers also report that all accesses to Mosul are heavily booby-trapped and covered by sniper fire, making progress slow and extremely hazardous. An SAS marksman killed a feared ISIS executioner who was about to set 12 people on fire with a single shot from nearly a mile out. The ISIS operative, who had been on a kill list for some time, was well known for his brutal method of choice to execute prisoners, a flamethrower. The sniper team set up a position on ridge overlooking the village where the execution was about to take place. 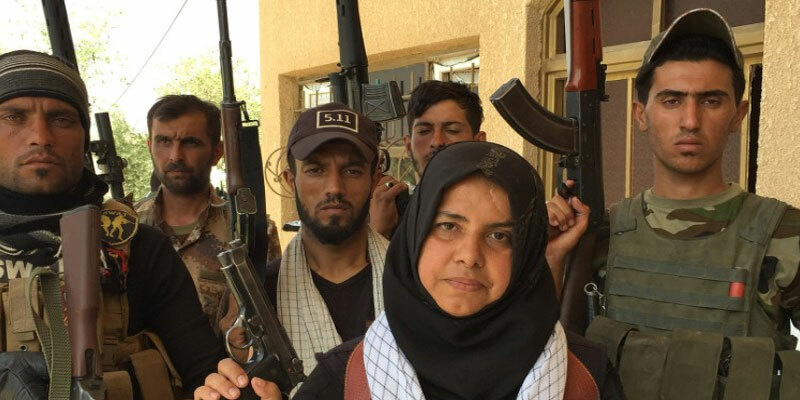 The ISIS man first gave a ranting speech over a loudspeaker, and when he finished and got ready to use his weapon on the civilians, the sniper fired one round into the weapon’s fuel tank, setting it on fire. The conflagration killed the executioner and three other operatives nearby. The man’s death saved the lives of 12 civilians, who were understood to be accused of being spies, and were about to be burned alive. The feat is yet another display of expert marksmanship by SAS teams. 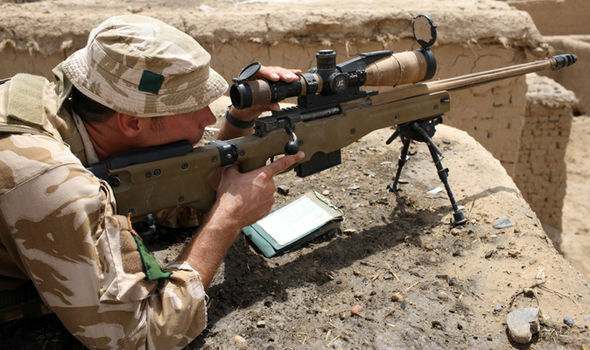 Recently, a SAS sniper took out two men with a single shot from 1,000mts. The men were driving a car full of explosives towards a target when the sniper’s bullet thwarted their plans. 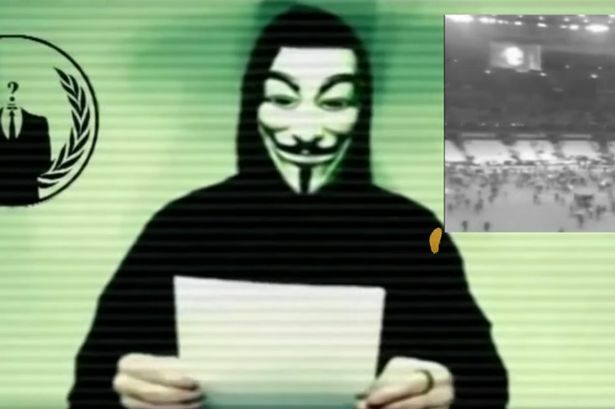 The round pierced clean through one of the men’s head and lodged in the neck of the other.